If you’re like me, then you can often be found making changes to your race calendar, adding more possible races then you could ever possibly register for. In a perfect world, money and time would be endless, and your body would be up for the challenge of running every single race that you want to. But the reality is that money and time aren’t endless and most of us have bodies that need to rest after major races. So what factors do I contemplate before choosing which races to register for? 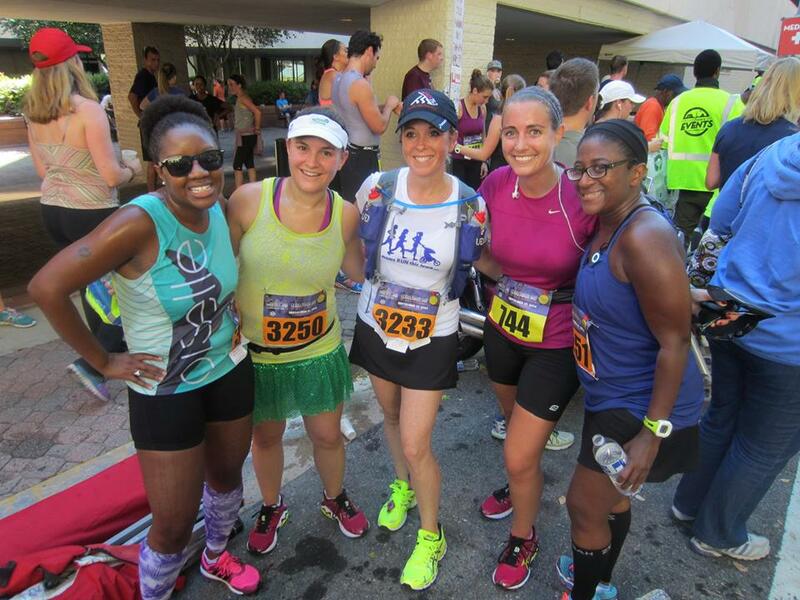 I try to run a variety of race distances each year – everything from 5k to a half marathon. Some weekends, especially in the fall, I’ve had back to back race weekends, but those back to back weekends usually include shorter race distances. I have yet to run half marathons on back to back weekends, as my body is not up for that challenge yet. Maybe it will be someday? 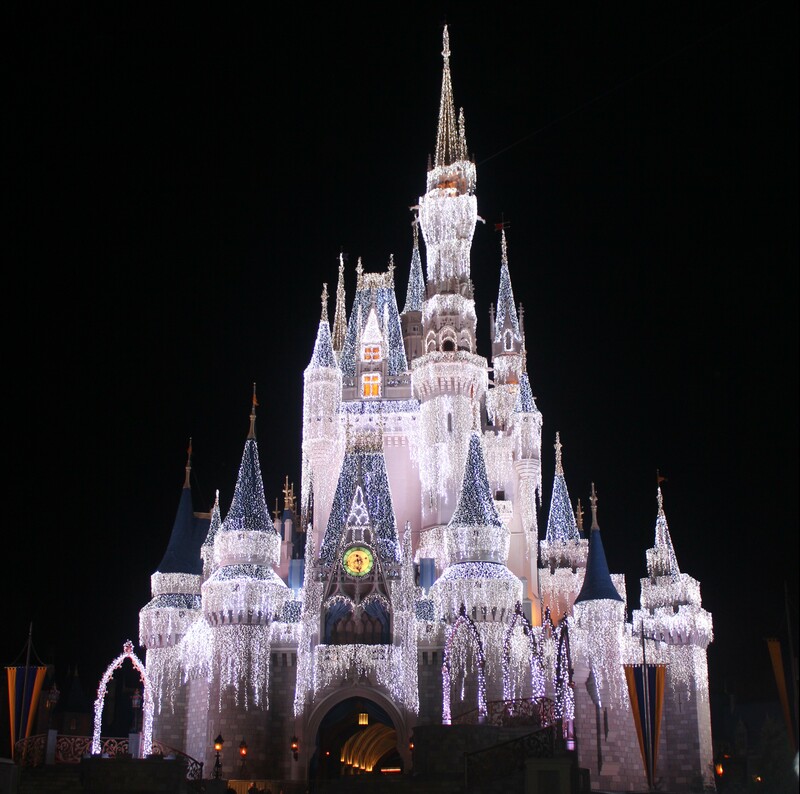 If you guessed Disney World, then you’re correct! How much a race costs, and whether or not the registration cost is worth it, will be of a different value depending upon a variety of other factors. Of course, if travel is required for a race, then the cost of race registration will play a major role in the decision making process. The time of the year of the race, where the race is located, and determining whether or not you’re up for running a race under certain weather conditions is another major factor. Unlike many other people, I personally don’t mind running races during the height of summer when its hot and humid. But if its freezing, snowing, or raining, forget it, I don’t want anything to do with that race. I’ll admit it, I love receiving an awesome race medal after crossing the finish line of a race, especially one that I put a lot of time and effort into training for. In the end, you have to choose the race that is right for you. Jumping to register for a race just because all of your friends (whether in person or virtual) are running it could set you up for a disaster. That doesn’t mean that it isn’t fun to meet up with friends at races, but you ultimately have to make the right race decision for you. Some of the races I’m looking most forward to running this year are Rock ‘n’ Roll races. I’ll definitely be running Virginia Beach over Labor Day weekend, and am working on finalizing the other Rock ‘n’ Roll races that I’ll be running this year. 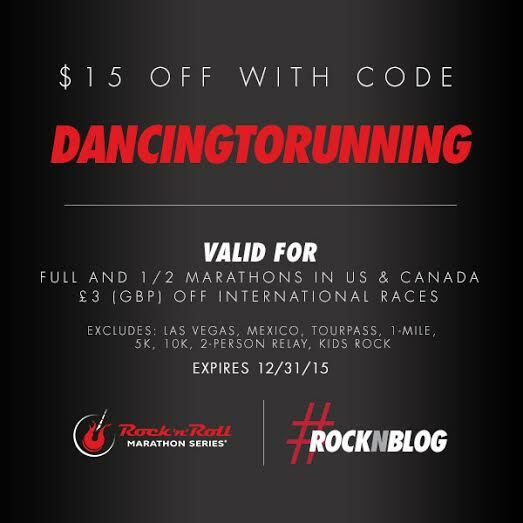 If you’re interested in running any of the Rock ‘n’ Roll half or full marathons in 2015, be sure to use discount code DANCINGTORUNNING to save $15 on any of the races in the U.S. or Canada (excluding Las Vegas). QOTD: What is the most important factor that you consider when choosing a race to register for? This entry was posted in Races and tagged racecation, Rock 'n' Blog, Rock 'n' Roll Marathon series. Bookmark the permalink. I’m having a hard time determining which other RnR race to pick for my tour pass this year! You’d think it would be that hard, but with the amount of injuries i’ve had lately, I want to be smart about it! I always love that canvas of you, Preston, and Mickey each time you show it. Just beautiful! Always good to think clearly about what races to register for. I hope you’re planning to be at Virginia Beach again! I think my biggest factor these days is the logistics – when and where. After spending a few years where all my vacation resources (time off and $$$) went to races, I realized I needed to refocus so that I could still do the traveling I enjoy so much. The RnR Tour Pass offers so many tempting options, but I’m still on the fence about so many of them. Its hard to find a balance between racecations and other vacations. We’re trying to be better about that this year as well, even though ironically some of our vacations are still including trips to Disney (not all of them though!). Price and location are big factors for me. Can I afford the entry fee? Can I afford the travel expenses? Can’t wait to earn those three Shamrock medals with you next month! Distance is important, but location and bling are fun to think about. I have a couple races on my bucket list, both are 10ks actually. If I did the Bolder Boulder, I could stay with my parents. Traveling and having a cost effective (aka free) place to stay is definitely enticing. it’s certainly easy to get caught up in race fever and sign up for everything. I’ve done that before. I’d love to do RnR Va Beach but wish it wasn’t labor day. Always kind of hectic before school starts. It is kind of a hectic weekend, but I love that it gives me an excuse to have one last summer getaway before the craziness of the school year starts. I’ve often searched for races when planning a trip, although I very infrequently sign up for a race. Its the effort that counts, right? Man, races can be so expensive – it’s the main reason I never race more. Bling is fun, but not important enough to me to factor the decision. I do love the environment and excitement of being around so many other runners! The exciting environment always makes race so much fun! Love that picture of all you awesome ladies and these are great tips! Great race reviews are always a plus. I generally look at cost and time of year the most. I don’t have a big “racing budget” so I try to find local or semi-local races! Local races are usually a lot of fun! Its always tricky finding a balance between work and recreation. Price and location are the main factors for me! Location is up there because I love running in pretty places! Scenic courses are definitely a plus! I agree with all of these. I’m not so fussed on bling, cause I don’t have anywhere to display them, so they get stuck in a draw anyway. I so need to get a medal display. One of the other things I have to consider is if I am working that weekend. I work every 2nd weekend. I make a note of when early bird entries end, and look at my roster (3 weeks in advance), to see if I can do it or not. It’s hard finding a balance sometimes. Work schedules are always difficult. I can only take a couple of personal days each school year, so I definitely have to plan wisely. The price of registration is important to me. I’m old school, been racing for over 20 years, and to me there is no race worth the money that they are charging these days. If it were one race per year, like a destination event, maybe. But I don’t know how people can sign up for multiple $100-$200 races. Or why they’d want to. Its definitely difficult to sign up for multiple pricey races each year, especially when both my husband and I enjoy racing. Oh gosh yes! Putting the race calendar is quite a process. I set my destination races first then fill in from there. That’s usually how I work as well. I’ll say I am not a big race person. I mean I love the feeling and the energy but I won’t spend a lot of money for races. I typically get talked into them at the last minute by a good friend. If that happens it is typically for a 5K or 10K. I don’t see myself doing marathons any time soon and have been purchasing race entries via Groupon lately. I have saved TONS that way. Great seeing you guys’ photo!! You all look great. Its always fun to race with friends. Bling is definitely a factor! I’ll run without it of course but I expect the registration to be cheaper. I remember running a expensive run last year and was shocked when I crossed the finish line and there was no medal. I’m okay with running local races that are usually cheaper, and usually without bling. But I’m usually running those races without focusing on bling, but instead focusing on the reason why the race is put on in the first place (ie: what organization will the proceeds benefit). Disney races are very magical! Totally with you on the bling 😉 Great post and wonderful suggestions! oh my gosh, that picture! that day was so hot and i remember feeling like i was going to pass out after that second race. that was a rough day for me 🙂 great post! I’d have to say the race distance then how well a race is reviewed by others. I do love the small local races near me too! Race reviews are definitely an important consideration. Date is definitely important. Does it fit in with the rest of my calendar? Usually it’s the weather that I look at first but now that I have 3 kids and one income, price has officially become my trump.